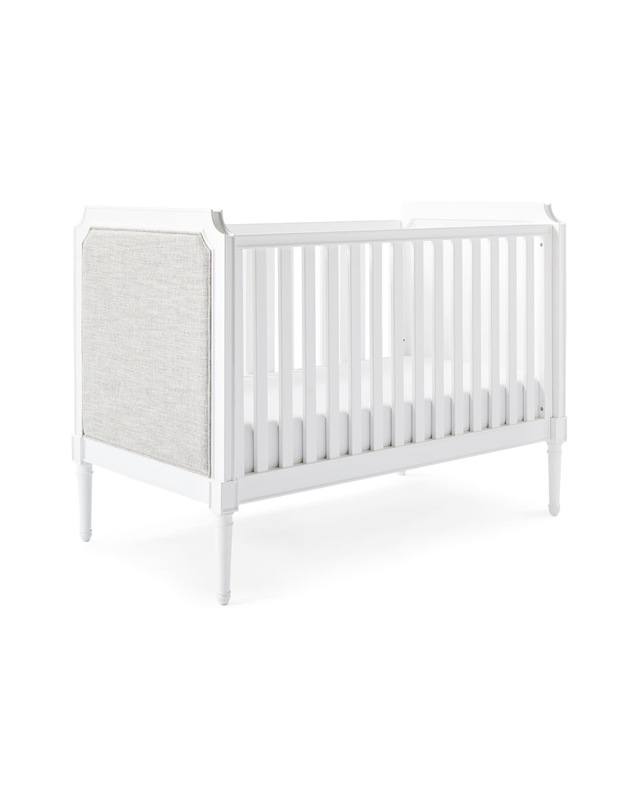 Harbour Cane Upholstered Convertible CribHarbour Cane Upholstered Convertible Crib, alt="Harbour Cane Upholstered Convertible Crib, "
Print Taking one of our favorite designs for the master bedroom, we’ve come up with a crib that elevates and relaxes the nursery all at once. Fabric-covered panels add a touch of luxury and their neutral look works with just about anything. 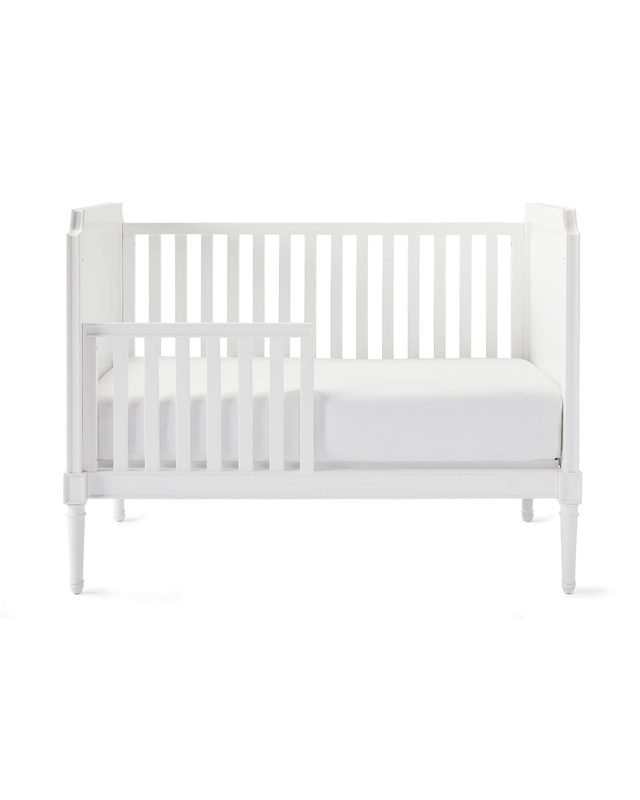 Delicate proportions and fluted legs are a nice nod to tradition, while the white finish (non-toxic and lead-free) adds a modern edge. 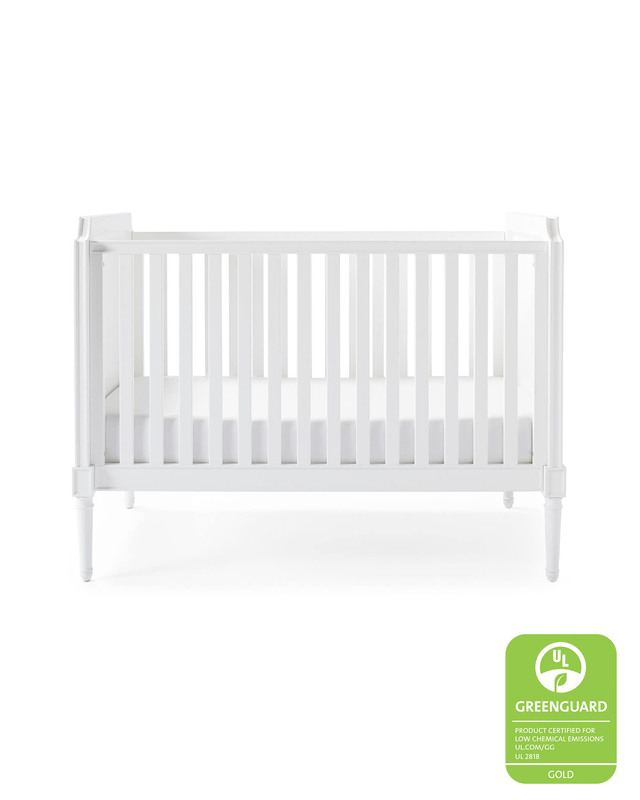 An easy-to-use conversion kit lets you turn this to a toddler bed, then a daybed – a great design investment your family can count on for many years to come. 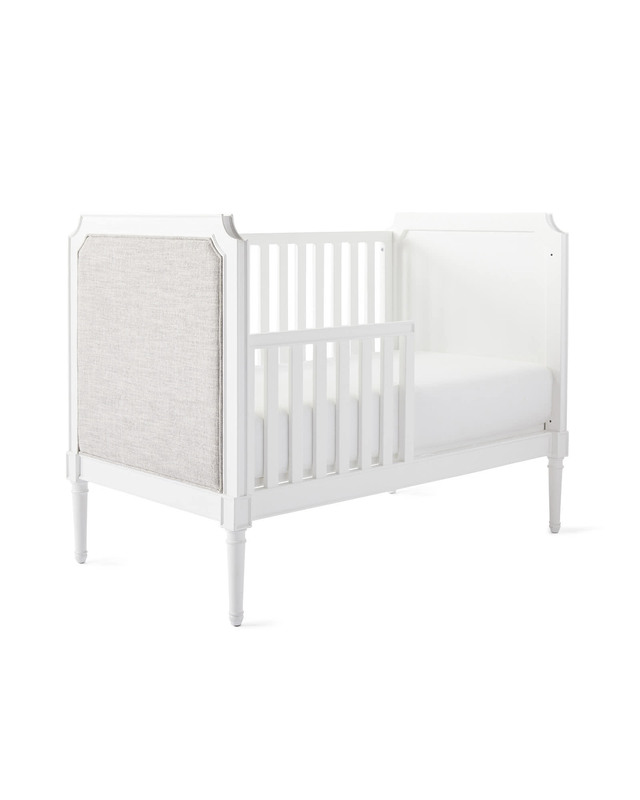 Side panels are upholstered in Salt-Washed Pewter Belgian Linen.